Sunny beaches, lovely sites, marvellous culture, lip-smacking cuisine, and wonderful historical heritage the value of which cannot be measured in any manner – Kerala has been blessed by the God with all elements that make it an ideal tourist destination. The warm coastal waters have become the niche to corals of different varieties which makes Scuba Diving in Kerala one of the most popular sport for tourist. Kovalam beach is the most famous spot for all kinds of water sports. Other highly popular destinations for water sports are Kochi and Varkala. The following post will be listing the top destinations for Scuba Diving in Kerala and some centres that offer the best experience. The Kovalam beach is one of the most famous beaches in Kerala and all kinds of water sports are available here such as sofa ride, scooter ride, scuba diving and snorkelling etc. Of all the centres that provide scuba and water sports, Bond Safari provides the best Scuba Diving in Kovalam. What makes it the best is the fact that the gear is new, modern, comes with all kinds of safety attachments and accessories, the divers are trained and certified as per the international standards and there is a fully functional diving centre that provides courses for diving, scuba, for kids as well as adults. The courses are recognized internationally and come with proper certifications and documents. Further, Bond Safari offers more comfortable, more adventurous and better rides compared to other centres offering snorkelling. One activity is called the Bond Scooter Ride in which the tourist wears a helmet that allows him/her to breathe naturally underwater and ride on a scooter that scoots underwater easily. They can experience the beauty of the sea life without any worries. Bond Safari is the single most centre that offers diverse courses on diving and has lots of activities for people of all ages for Scuba Diving in Kovalam. 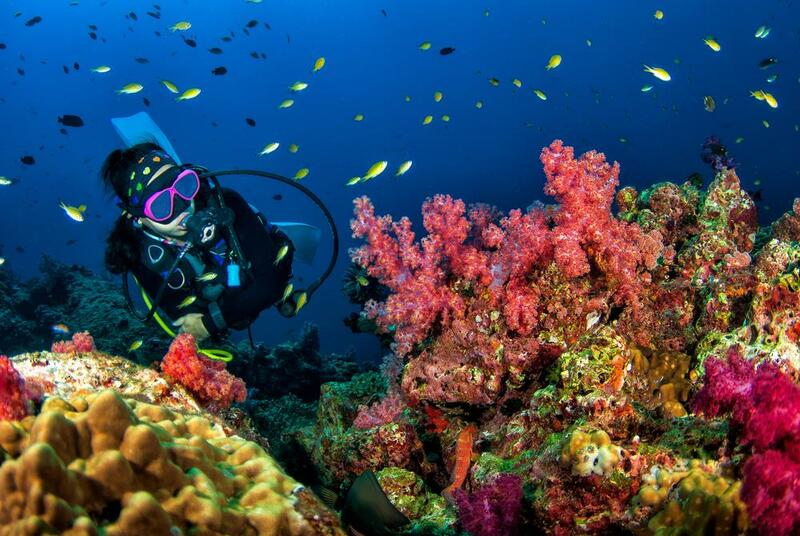 To enjoy Scuba Diving in Kochi you can choose different centres such as Neel Diving, Mojhi and Scuba Cochin. All of them come with the facilities and certifications to help you enjoy your Scuba diving experience. Find out more about these diving centres in the following section of the post. It is a PADI recognized dive centre and is located in the Cochin City. Scuba Cochin also offers PADI certified courses for diving in Open Waters as well as for the instructors. It also offers courses for the emergency first responder. The scuba gear is modern and of good quality. The centre has a shop for other kinds of diving equipment as well. The other activities offered here include kayaking in backwaters, scuba in quarry, banana ride in backwaters, PADI Diving Courses, Stand Up Paddling, and Sea Diving. In case you are not able to book a special centre for Scuba Diving in Kovalam or Kochi, you can always visit the Mojhi and book your centres online. Another one of the best centres for Scuba Diving in Kochi is the Neel Diving which is located in Kochi itself. It is also PADI approved with a swimming pool located in the campus itself. Apart from having a good time with your friends and family, you can also register for the courses and get an international certification recognized universally for diving in open waters anywhere in the world. We hope that you find your partner for Scuba Diving in Kerala from the names mentioned above. Have a happy vacation…! !